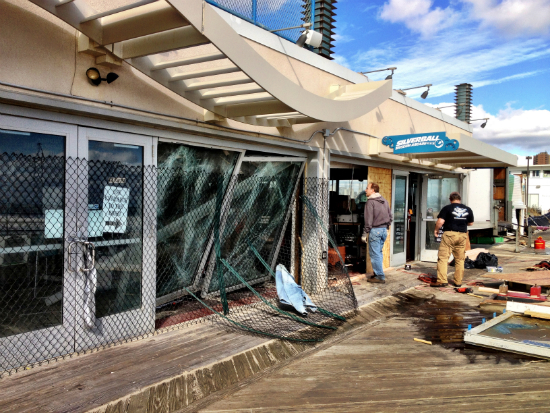 While Congress fiddled with appropriations for communities devastated by Superstorm Sandy, the CDFI sector in many of those communities was busy finding and funding small business owners and others who wanted only to get back on their feet. CDFIs, or Community Development Financial Institutions, have a 30-plus year track record of lending successfully in distressed market conditions. Very quietly, they have stepped up their efforts to help community businesses recover post-Sandy. They played similar roles after the 9/11 attacks, after Hurricane Katrina, and many other times. New Jersey Community Capital (NJCC), headquartered in New Brunswick, launched REBUILD New Jersey, an innovative loan fund for New Jersey small businesses affected by Sandy. With its first loan -- to Langosta Lounge in historic Asbury Park -- NJCC made an immediate impact. Langosta Lounge is an oceanfront restaurant and live music venue co-owned by Marilyn Schlossbach. 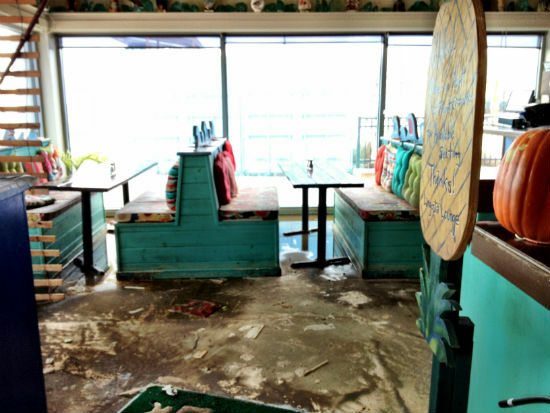 Her business incurred almost $200,000 in damages due to the storm. More than that, though, Marilyn felt the pain of the loss. "People don't understand the trickle-down effect," she explained. "Our vendors, the cleaning people, the staff -- they all suffer." Marilyn qualified for a $30,000 NJCC economic recovery loan to help her quickly repair damages, replenish supplies, pay operating costs, and re-hire staff as they personally rebuild from the storm. Marilyn's Langosta Lounge isn't the only community business benefiting from CDFI Assistance. • New York-based Renaissance Economic Development Corporation launched the Hurricane Sandy Emergency Recovery Loan Program to assist small businesses in New York City. Through this program, Renaissance has made more than 150 loans totaling more than $3 million. • The Low Income Investment Fund (LIIF) has committed $1 million to support relief and recovery efforts. LIIF is providing low-cost loans and grants to small businesses, nonprofits, and other community organizations to ensure those hardest hit by the storm have access to food and needed services. • Enterprise Community Loan Fund created the Enterprise Partner Support & Rebuilding Fund, which offers emergency grants and loans for for-profit and nonprofits providing housing and community facilities (like day care centers and charter schools) in Sandy-affected areas. • Manhattan-based Grow America is offering loans to small businesses in the five boroughs. These CDFIs are Members of Opportunity Finance Network (OFN), the national network of more than 200 top-performing CDFIs. OFN is leading the charge in Washington for a $100 million emergency appropriation for the Treasury Department's CDFI Fund to support a round of Financial Assistance Awards for the low-wealth communities impacted by Sandy. The appropriation would be targeted to CDFIs that work in FEMA-designated disaster areas affected by Hurricane Sandy. In addition, OFN seeks to make CDFIs part of the nation's emergency response system alongside local governments, banks and federal agencies. Hurricane Sandy has turned a spotlight on what CDFIs do best -- respond to the unique needs of under-served communities. This is what CDFIs have done successfully for 30 years; in that time, CDFIs have loaned more than $30 billion with net charge offs (losses) of less than 2 percent, remarkable performance for lenders who seek out risks that other lenders shy away from. Since 2008, through the Great Recession, CDFI performance did not waver. As a result, CDFIs are increasingly appealing partners to bankers, government officials and others. CDFIs bring capital from a variety of sources -- banks, socially responsible investors, foundations, government, and faith-based investors -- to serve communities and people who can't attract conventional loans. They provide financing to bring small businesses, healthy foods, charter schools, low-income housing and community facilities to opportunity markets. They make an impact where it's needed most. And because they are profitable but not profit-maximizing, they are both sustainable and patient in ways that others are not. CDFIs are deeply rooted in their neighborhoods and work with residents and businesses to address pressing needs in the community. In the case of Sandy, this includes post-disaster needs, as well as medium- and long-term rebuilding efforts. Whether after natural disasters like Superstorm Sandy and Hurricane Katrina, or economic crises like the Great Recession, CDFIs play a critical role in post-crisis rebuilding and restructuring of devastated communities. Just ask Marilyn. Or her staff. Or her vendors. They all enjoy opportunities today due to CDFIs.